Travis asked me if I had any idea where I would like to be photographed and with what. 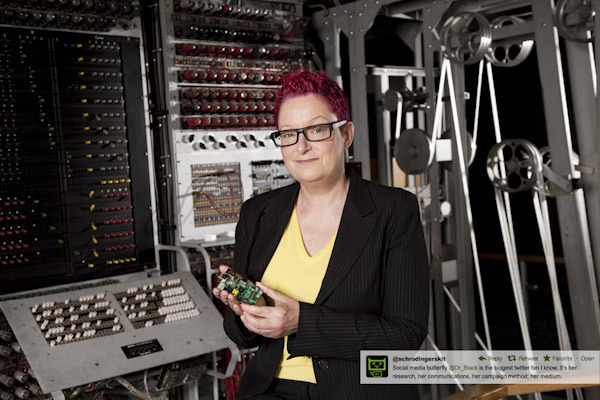 I thought for a couple of minutes and decided that a pic in front of Colossus, the world’s first programmable digital computer which has been rebuilt at The National Museum of Computing at Bletchley Park would be cool. 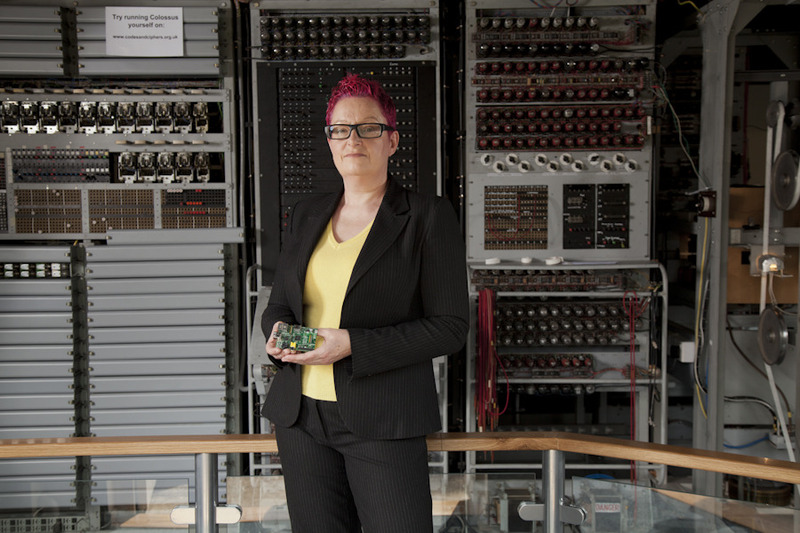 Then I thought, hey, wouldn’t it be even cooler to stand in front of Colossus with a Raspberry Pi? Travis has a different favourite….so which one should he use? 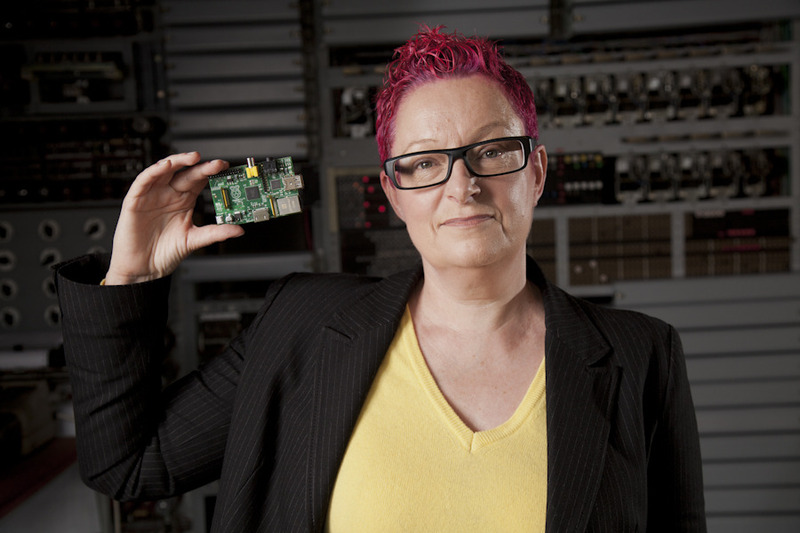 Also, I’d love to know what the difference in size/computing power is Colossus vs Raspberry Pi, anyone know? Has to be 1 or 3, 2 looks too much like a corporate photo shoot shot. Personal favourite is 1.- Neil. I’m probably wrong here but if I’ve got this right then according to the link below Colossus had 0.000224MIPS. From what I gather from it’s spec the ARM ARM1176JZF-S processor delivers 965 MIPS@772MHz. That should mean that it delivers over 4,308,035 times the processing capacity. My favourite pose is 1 but my favourite view of Colossus is 3. It’s too bad you hardly see the Raspberry Pi in 3. It would be ideal as both show the exposed circuitry. Closeup. Clearly. #2 looks like a stock photo (or a corporate shoot like Neil said), and #3 is way too busy IMO, the Raspberry Pi almost disappears.Which one did you pick? I agree with @karohemd — I think the best shot of you is #1, but most interesting shot of you and Colossus is #3. I’d personally go with 3. I also like in 3 that you’re just kind of holding the RaspberryPi board, rather than posing it. Which did you use? When Tony Sale was alive I talked briefly to him on this subject and it seems that a Pentium 1 could just about outstrip the Colossus in a similar task. However, Colossus was designed to perform a particular process very efficiently (akin to an ASIC chip today) within certain programmable parameters, however it would be lousy at adding up expenses or spell checking a document unlike modern CPU’s which are great in a generic way.The speed of processing isn’t always a function o fthe clock speed but a number of factors.